Hi all! It's hump day Wednesday... and I'm popping in to remind you to join us at ATS Challenge blog this week! A fun photo for inspiration and an awesome prize for one lucky winner! 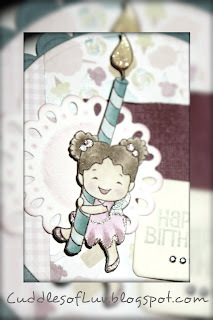 Sweet November's Fairwee Jilly has a birthday candle for someone's special day! Followed a sketch from Mojo Monday, and first time I've attempted to make a round card. It wasn't centered quite right when it's standing up, so out came the little holder for picture time! lol! Papers are from S.E.I. Fair Day, and solid color cardstock from DCWV. A few Spellbinders round diecuts, and an altered Recollection tag punch. And of course, some sparkles and shiny gems! Oh what a sweet card... such a funny image and wonderful colour combination! Thank's for joining us at SSP challenge. I just love circle cards and think you did a fab job. Very, very cute. Super Sweet! Love the image and the way you have colored her. Mimi, a precious card! I love shaped cards. Cute image and wonderful colour combo. Thanks for joining us at Sweet Stamping Pixies. Super sweet! Love the image and soft colors! Have a great weekend! Really cute! Thanks for joining us at Sweet Stamping Pixies. super cute shape card Mimi! 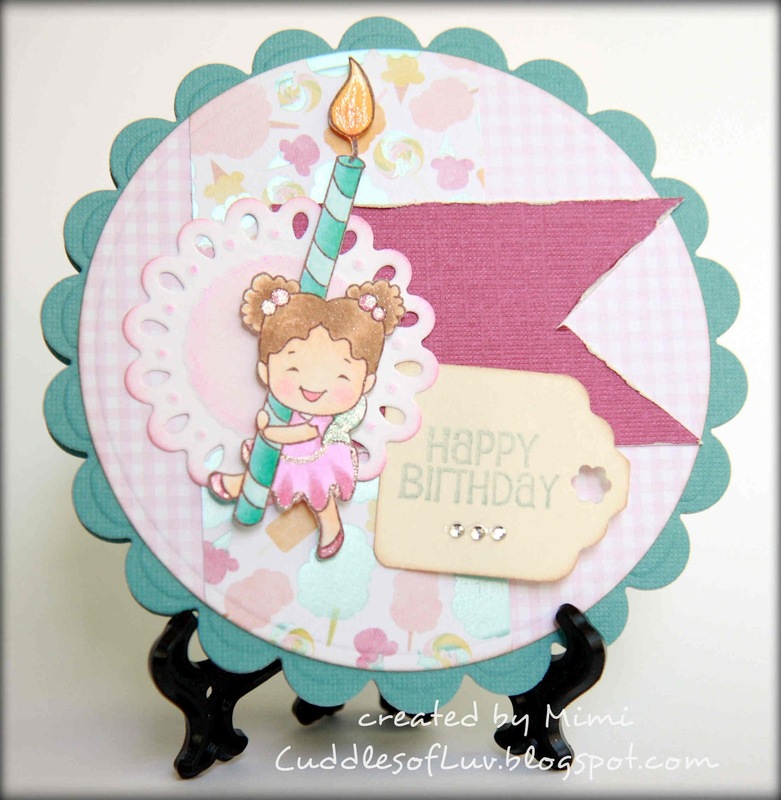 So glad you linked up to the Sweet Stamping Pixies Challenge! Thanks for playing! The card is gorgeous! Love you´re coloring. Thanks for playing with us at SSPC!